Stars, Constellations, Mythological Characters, Planets and Galaxies are all waiting to be explored within the Universe2go star viewer. This could be the perfect gift for a budding astronomy lover or for a young mind who wants to begin to learn about the stars above. 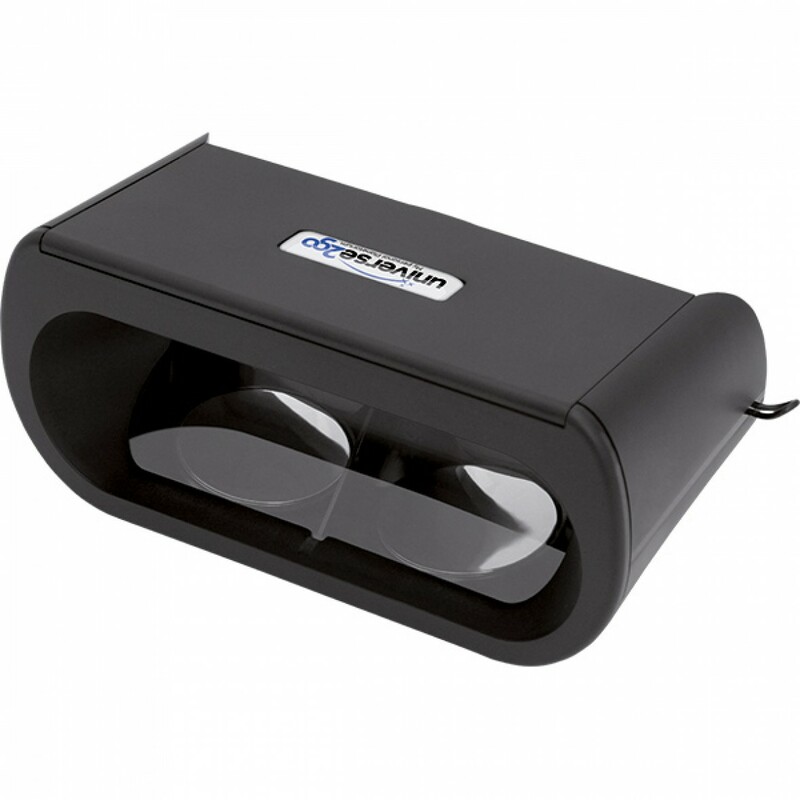 Out of the box the star viewer has a hard plastic casing and feels like a solid premium product. Available from Amazon for £85 this product promises to transport you to another world. The top of the star viewer can be lifted and this is where you put your phone when running the app Universe2go. The star viewer is different to other VR headsets by using a design similar to the telescope the image from your screen is mirrored. With a removable front of the star viewer you can see the world around you with the screen of the stars still being projected allowing you to align what you are seeing on-screen to the actual stars above. The app itself is free to download on the play store and with a unique code in the box allowing you to access exclusive content. As you scan the skies you can see where stars and planets are situated with interesting facts being displayed. I was impressed by the depth of knowledge made available. I gave the star viewer to my kids aged 6 and 8 they thought it was cool it soon lost interest after they got to see Saturn and a few different constellations. This gift would have to be for a budding astronomer as it only has the singular use as a star viewer. This is what makes this product unique, although the design is not entirely user-friendly. Being visually impaired and wearing glasses I found myself in a struggle with the viewer I could use it without my glasses although the writings on the screen required me to get my glasses on to read it. At 99 euros this product is perhaps overpriced bit if you are buying it for someone who has a telescope and a real hunger for the heavens above us then it is a good purchase.